AirBNB. It’s all the rage! What a great way to see the world and help other travelers see the world! Travelers always need a place to stay and today’s internet world makes it very easy to offer a room in your home for a traveler looking for a place to stay. Currently there are offerings in almost 200 countries and almost 35,000 cities around the world and over 25 million guests so far! The service connects travelers at unique locations including castles and villas. All you do is book a room through the online share site at airbnb.com, and off you go! It’s free to list your space online for travelers to find, and they are able to send you a reservation request. You may add pictures and information on your location and the amenities and the rate you wish to charge. There are limits to your protection as a Host, and there are Hospitality Standards that must be adhered to. The coordinator does offer some assistance in the event of a problem with the rental, BUT BE SURE TO READ THE SMALL PRINT! As part of the Host Guarantee stated by airbnb.com, there is limited protection for your property in the event of damages by a Guest, which is ultimately paid by the guest or the guest’s insurance policies. THIS IS NOT INSURANCE, and the airbnb.com coordinator does not act as your Contracting Agent. You are able to make the selection of your Guests through the invitation process offered online coordinator. To compensate the airbnb coordinator for the use of their service and online platform, a 3% fee is paid to them by the Host and 6-12% is paid by the Guest. In addition, Hosts will receive a IRS-Form-1099 which must be included as part of your income tax filing. The stated Host Guarantee covers your property at the Accommodation and extends up to 1,000 feet out for personal and real property which would relate to your structure. But this is what is NOT covered: money of any kind, pets, boats, vehicles, or anything over 1,000 feet of the “accommodation” fine arts, acts of nature, overuse of utilities by the Guest, booking lost income, mysterious disappearance, identity theft or identity fraud, terrorism, dishonest acts, slander or defamation of character, mold or pollution or structural defects, and more. Starting in January 2015, Host Protection Insurance is available as excess coverage in the United States and provides liability protection up to $1million for bodily injury or property damage. If you as a host or landlord have other insurance that is applicable to the situation giving rise to the claim, then that insurance will be the primary coverage. If the host or landlord doesn't have insurance that covers the bodily injury or property damage, then the Host Protection Insurance program will act as primary for covered losses. For most homeowner policies, only “personal liability” is covered, so any issues arising from your paid-guests would not be covered in the event of a claim. Renting out a room in your home or renting your entire structure, whether part time or full time, is considered to be a business use and would not covered under a personal home or renter’s policy. Short-term vacation rentals are considered a business in the eyes of the insurance world. If you collect money to allow a guest to stay at your place for a short period of time; this is a business transaction. Your vacation rental is no different than a coffee shop or grocery store, it’s a business. A homeowner’s policy does not cover business activities. It specifically excludes business activities. It will not respond to any claim involving running a business from your home. A homeowner’s policy and most dwelling/landlord policies carry personal liability coverage. Personal liability coverage will not respond to business activities. For example, a paying guest slips and falls and may sue you for their hospital bills. For this event, you need a commercial liability policy (business liability). A personal umbrella does not cover you for running a business. A personal umbrella will not cover business activities. A personal umbrella will follow you anywhere you go in the world; but only for personal negligence. If you are renting a property and have setup an airbnb as a sublease, be aware that you are completely changing the nature of your agreement with your landlord. The same logic applies, and you are deemed to be conducting a business on the premises, and you must be properly protected with an appropriate insurance policy. You should list your landlord on your commercial insurance for their protection (also, you need to let them know that you are subleasing their property!). The frequency of airbnb rentals will be viewed differently by the insurance company, and your personal Renter’s policy will not provide you the protection you need if you are subleasing. Check with your Trusted Choice agent to ensure you have protection for your operation. And Travel on!! We are your LOCAL Trusted Choice Advisors, SouthGroup-Gulf Coast http://www.southgroupgulfcoast.com , SALES AND SERVICE AGENTS: Angelyn Treutel Zeringue, Tammy Garfield, Tammy Hogue, Brittany Jones, Denise Russell, Melissa Moran, Alex Treutel, Anne Gillam, Ashlie Moody, Mark Strickland, and Whitney Zimmerman at SouthGroup Gulf Coast. 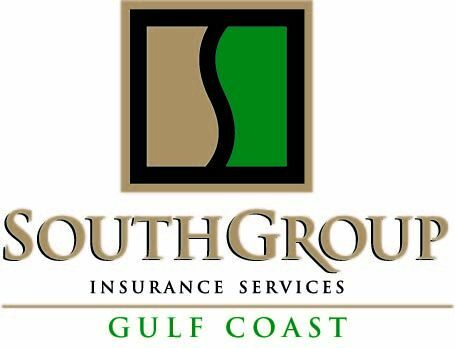 You can reach us by snail-mail or in person: 412 Hwy 90, Suite 6, Bay St Louis MS 39520, email: info@southgroupgulfcoast.com , phone: 228-466-4498 fax:888-415-8922, FaceBook www.facebook.com/southgroup.gulfcoast, or Twitter www.twitter.com/atreutel ! Come Sail Away --- and Be Safe On The Boat!!! Protecting Teenage Drivers from Themselves!